• HOW MUCH LONGER FOR CALIFORNIA FIRES? • IVANA TRUMP FOR PRESIDENT? • REPEAL OF PAST BILLS? • TUNNELS UNDER MACHU PICCHU? • DISCONNECTING TO EARTH ENERGIES? • VIDEO OF SOUL LEAVING BODY? On Tuesday, August 16, I will be back with Dr. Simon Atkins on his Skyaia Show at a new time—6:00 pm CT, 7pm ET, 5pm MT, 4pm PT. www.skyaia.com. The next show will be all about ETs and Antura. If you would like to watch the show we recorded on this past Tuesday, you can view it at http://tinyurl.com/zkatxdp. We discussed past and future lives, reincarnation, and much, much more! It’s a video presentation we did on Skype. The Roku TV channel had to go off the air when they lost their one editor due to medical problems. They have now posted the first episode of my series THE TELEPATHIC WORLD OF TOM T. MOORE on YouTube at http://tinyurl.com/glzbpox. Please keep in mind that this episode, at around 25 minutes, was a one-take for me and could have been more professional. When they put the second episode up, I think I did a little better. But I do discuss the Gentle Way and how it works. Last chance for a vacation with me and other like-minded people where the Atlanteans used to dig for crystals. I’m going to be speaking at a Harmonic Crystal dig in Mt. Ida, Arkansas, the weekend of August 19-21. Please email if you’re interested in a weekend of digging for crystals, listening to my presentation along with others, and a beautiful weekend on Lake Ouachita in the Ozark Mountains! If you just wish to only attend my workshop on Sunday morning you can do so. HOW MUCH LONGER FOR CALIFORNIA FIRES? Diane writes: Can you please ask Gaia about what will happen to California with all of the fires and lack of water. Is this karma for them or just a cleanup! Gaia, will fire season get worse in the upcoming months and will California receive more or less rain than normal in the next 12 months? We are speaking of California in particular, Tom, but generally speaking, not only California but several of the other fire-prone states or regions will experience more fires than what they consider a “normal” fire season as, again, this is a cycle of clearing old growth trees and shrubs to make way for new growth. People have built their homes in my forests and they should have built them to withstand these sorts of events, but they needed to learn this lesson for the future. If you build a house in a forest, one day in one of my cycles the forest will burn and your house must be built to withstand the forest burning up around them. They are learning that lesson now. So yes there will be many more thousands of acres of forests that will burn before I’m through, and it will be the same next year. The rain will be about average during the next 12 months, perhaps just a little less than normal. We are speaking generally here as always since there are sections of the coast that will receive more rain than another section. What are the reasons people lose their homes to fire? Losing your home to fire or other natural disaster must be experienced by every soul fragment in one or more lives. There is great learning here as to how to cope with the loss of your home. The people will be stronger in the end, but will never forget these lessons and some will experience one or more lives in the future with a fear of fire they must learn to cope with. And yes, there are those who during previous lives burned the homes of the people they warred against and now must experience the pain and suffering of losing their homes to fire. As we have spoken before, all must balance at the end. Theo, what is the probability of Ivana Trump running for President of the U.S. in 2024? Very low at this time, Tom. That does not mean that she will not be asked to run for an office during that time period, but the probability of running for President is quite low for that upcoming time period. The probability of her entering the political arena is much higher in the coming years. At this time, she is enjoying her work and will see and learn from her father’s high probability of defeat. 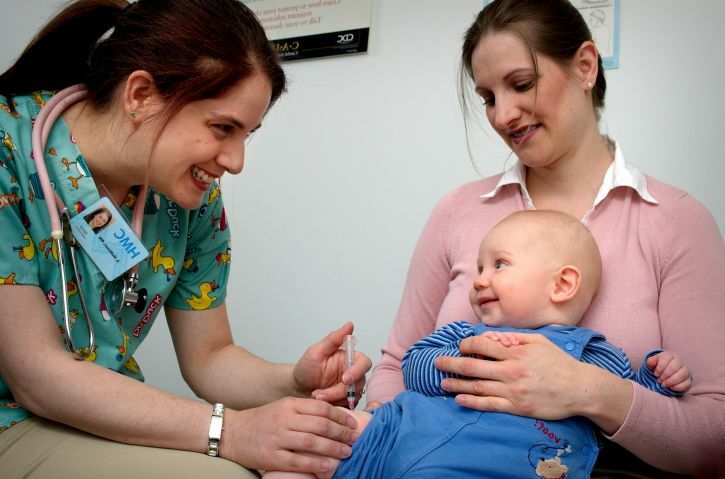 Cynthia writes: SB 277 in California is now a law, as of July 1 that mandates all school children must be vaccinated, despite considerable evidence that shows that vaccines do indeed cause autism and a multitude of other health problems. This is clearly shown in the movie "Vaxxed" and other research that is done. Will they be successful in getting this law repealed? There are now lawsuits against this terrible law. Since President Obama signed the Dark Act, which will make it much more difficult to actually know what's in our foods with needing to have a smart phone to decipher the codes, is America ever going to be able to have their food labeled accurately? And what does this do to Obama's being a great President? Did Monsanto coerce him into signing this law? Theo, what is the probability of the California bill SB 277 being repealed in the courts? Yes, this will be rejected by the courts. It goes under the heading of religious freedom. Theo, any chance that the Dark Act (Monsanto) being repealed on labeling foods to be recalled? Yes, it will take some time, but the Supreme Court will reject the ban on labeling food, as the rest of the country slowly accepts demands for labeling. This will take years, you understand. I could not find the email from the person who asked this question. Gaia, will we ever “seed” another planet, or are we doing so now on a soul level? No, Tom, your duties, shall we call them, are to go out to all the other worlds you possibly can reach in the next few thousand years and spread these small amounts of negativity so that the souls on these planets across the universe can begin to grow again. You will “get the ball rolling,” shall we say, in first visiting all the Federation planets in this sector of the galaxy, and as they have many thousands of spacecraft in their travels, they will do the same. You will be the creators, if you will, of a huge movement far beyond what you can imagine today, even as I explain this. You are already known as the only species or race, in not only this universe but all the other universes, able to work with negative energy, which is part of the building blocks for souls raising their vibrational level. So what you are doing now will even eventually be adopted by all the other billions of universes. Your souls’ reward, we will call it, is that one day in the future, as has been said before, you will meld together and become a creator in your own right. So, for all the heartache and strife and being veiled, you will have a great reward in your future. From your standpoint it is hard to conceive of how much effect you will have on other beings, but it will be profound. No, Tom, there was not another great event such as the sinking of Lemuria that caused the statues to be underwater. It was a rare cataclysmic event for Egypt – an earthquake. They had many more of these after the seas rose over 160-feet five thousand years ago. When the waters covered more land, there was a settling with the weight of the water upon the land it covered. So, three thousand years later there was still some settling that caused a portion of Egypt to fall into the sea. It was erosions; the Mediterranean Sea would be quite turbulent during the winter months and eventually eroded the land where the statues sat, tumbling into the sea. So, to answer your question, no there was no dramatic event that caused the statues to fall into the sea, but was indirectly, you could say, by the sea having risen when the continent of MU sank three thousand years earlier. Flo writes: The Sphynx is sort of like an elephant in the room. It's obvious, yet no one mentions it. What I'm referring to is that it has very obvious water marks and lines caused by water on it. And those marks and lines etch into stone slowly. Very slowly. But scientists and most Egyptologists ignore this. All of the water marks put the monument at way, way over 12,000 years because it had to have been created on dry land, which was then flooded for a long time... I'm wondering if it was created during the Age of Leo? I'm really wondering if it was a depiction of a lion, or a person or both? Don't you wonder what all those eyes have seen? And who? Gaia, was the Sphynx underwater at one time? Yes, it was covered by the water when Mu sank for a time and then the water receded, but left a mark on the carving. It is another mystery for people to ponder about—why was it underwater at one time? The answer is obvious; the sea was higher for one point in time during its existence. That puts it at around 7,500 years ago. Mike writes from the UK: RE: Elephant Kills Girl with a Rock. I'm sure you've read the news about the 7-year-old girl who was killed by the elephant who hurled a rock at her. Does this refer to a past life where she killed an elephant or this exact elephant in a past life? But we must remember animals only do things like this because they're trapped in horrible zoos and enclosures. Theo, what was the soul contract of the seven-year old girl who was killed by an elephant? Was she balancing something? Quite so, Tom. In a past life she killed elephants by the hundreds as a poacher, and this was partial balancing. In another life, in the future, she will also fight for their conservation. Lydia writes: Questions re the moon: Was it put here by ETs to observe us, and is it hollow/artificial? What did the Apollo astronauts see/experience on the moon landing that made them very somber/sober afterwards? Why haven't we been there since 1972? Are there human/ET bases on the dark side? Would there be no seasons/life on Earth without the moon? Is it zillion to 1 odds that it is perfectly round & be the perfect size for the solar eclipse? First question answered by Gaia. Gaia, the moon is not hollow, is it? No, this question, as you thought, has been asked previously and you were told then that there are natural caverns on the moon, but the center is not hollow. And I send my love to Luna with whom I have not communicated recently. And she sends you back love. We are good partners. She provides needed energy to move the oceans, as just one example, but previously we mentioned the solar and lunar eclipses. We haven’t been to the moon recently because of budget constraints. There is an ET base on the back side little used today Antura has previously mentioned. Theo, what extraterrestrial civilization left artifacts of itself in Europe? There have been several if not many that left artifacts, but certainly someday artifacts from your Sirius neighbors will be discovered; but that will be just the start. They will be able to point these artifacts out to you at some future point. When you said the Sirians would point out artifacts to “you,” was that a general statement or me personally? It will be you personally, Tom. You will have the privilege of meeting a Sirian one day. That will be fun! Will I have previously known the Sirian I will meet in this life? Yes, you will have known him quite well and, no, he is not a future incarnation of you. He is a friend and, yes, he will still be alive when you are born into that life. So will he be on the planet I will incarnate on, or will he be on another planet? No, he will be on the same planet. He wishes to greet you in this life to give you a glimpse of your next life. You will have a very nice chat, Tom. He will have answers to all your questions. I hope he’ll bring pictures of the world so that I can see them, since I’m veiled and can’t recall what it looks like. Yes, I’ll mention that to him. He says that he’ll be happy to. So he’s tuning in on our conversation? Yes. You can speak to him if you wish. I prefer to put together some questions first. Jay writes: I have evolved from the occasional MBOs in the beginning, several years ago, to now starting my day with them. 1. I ask any and all beings to help and assist my wife, daughter and myself in all our actions, interactions, communications and activities today be done in Love and the highest good for all, and that the best outcome possible happen or even better. 2. I ask MBPs for any one that I know of who is sick or in need of help with their health. 3. Also, I ask for MBPs for help with anyone in tragic situations anywhere in the world. 4. Lastly, if I have a business meeting that day, I say a MBO for myself and all attendees at the meeting to have the best day possible even better than I, or they, can expect. Yesterday, I asked for a parking spot in an area of the city that has terrible parking, especially on a summer day. About five minutes before the restaurant, “I ask that any and all beings help and assist me in finding the best, most correct parking spot for my meeting and this will be easy and successful.” I was ten minutes early for the meeting so I had time to circle the block a couple times, not finding a spot large enough for my van. I then went to the other side of the street and I stopped for a car that was either leaving or parking to give them space to do whatever. It turns out she was leaving and she lowered her window to talk to me, and I did also. She thanked me for my help and asked if I needed that spot. When I said yes, she then offered me her paid up ticket receipt for my window that was good for two hours, more than enough time for my meeting. I parked and thanked my guardian angels and guides for their help! It was greatly appreciated to have such abundant help! Eric writes: I had all three of your books come into our home recently, just "dropped off" by a friend. I have to say that I've never before knowingly made contact with an angel nor had much experience or knowledge of same. I do, however, keep all my options open when it comes to possibilities. Thus, your book arrived. Since I deemed it at least "possible,” I began asking as directed by your book. Nothing miraculous has as yet occurred. But I've felt "something" going on, a feeling I've always trusted. At the age of 80, I was asked to write a film script. Actually, though it was supposed to be a docudrama, I awoke one morning with a title, main character descriptions and an overall script with several scenes clear in my mind. I don't make trifles of such things and immediately, even though I've never written a script before, it began to flow easily. However, a few months ago, it sort of got "stuck" and though I sit down and try to write, nothing comes. Not a problem nor a worry. Then your book arrived. Within two days of one of my first MBO requests, the logjam opened up and the script is moving again. I thank you, too. Connie writes from Arizona: I have just been reading about the possible burial area under the pyramid in Machu Picchu. It was found by several archaeologists using sonar technology. The government is stopping any investigation of the area. Have you heard anything on this? Gaia, are there tunnels under Machu Picchu? Yes, of course there are with well-guarded entrances you might call them. The local population knows about them, but no tourists will be allowed to enter for many years. These are sacred to the indigenous population, and as has been noted before, part of a tunnel complex that runs for hundreds of miles. They will not be discovered until someone discovers the tunnels in another location that has been abandoned. 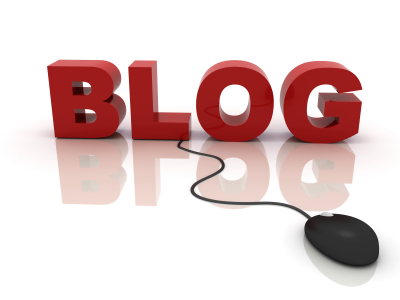 Barb writes: I enjoy your newsletters and look forward to reading them each week. I have a question about the tachyon technology I have been reading about lately. Is it for real or just a scam? The USA has a couple of public healing chambers and it sounds like more will be available soon. Your opinion? Gaia, do tachyons make up the energetic connections between planets, moons, and suns and are present in healing chambers? First the energetic connection, Tom. There is an energy scientists have not yet discovered that exists between all these bodies in the universe. This will take many more years—we’re speaking of hundreds of years—to discover. Just know that this exists. The scientists will have their “ah-ha” moments in the future. The role tachyons play will be discovered sooner, but I will not give that information to you as, again, there has to be those exciting moments for researchers. I will say that tachyons are everywhere to give you a little hint. Theo, am I correct in stating to people that the pineal gland is the receptor for telepathic messages of all types—word and images? 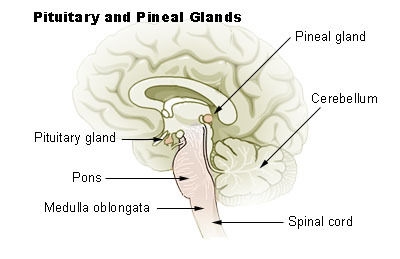 What about those who suggest that the pineal gland is also used as part of the Law of Attraction? Yes, although for most people this is more difficult by far than requesting MBOs. You can also say that the pineal gland is the receptor for messages of inspiration where you are not physically asking for the answer. Your brain must have a way to receive these messages, whether it be by telepathy with you communicating with another person or spirit. The messages or inspiration appears out of nowhere, but could have been sent by your friendly GA on instructions by the soul, in conjunction with your soul, and even on behalf of the Creator. It depends upon one’s soul contract. Normally I would not do this, but as a service to my readers, and as I practice Yoga myself, here is a lot more about Yoga. I do highly recommend you begin to practice Yoga. When I started 2.5 years ago I was the only guy in the class, but now we have five to seven men of varying ages. Below are listed online Yoga sites so that if you prefer to start at home, or there are no Yoga studios close to you, these sites are a good alternative. Sebastian writes: My name's Sebastian Schaeffer, chief editor of www.SoMuchYoga.com. While browsing your site, I noticed you wrote about online yoga classes a while ago and link out to some great resources on the subject such as gaia.com. I love this site and really love their content! We just released a comprehensive article on online yoga classes ourselves that offers an honest view on what each service has to offer. I think it could help your readers a lot so if you were willing to add our link to that page, I would be more than happy to then share it with our thousands of social followers, helping you gain some visibility in exchange. Theo, if Krishna was citing the Gita over 30,000 years ago and the Gita mentioned Yoga over and over again, how far back was Yoga developed in India? Much farther back as you might guess, Tom. The person who developed Yoga was inspired to create these movements of the body that anyone can use without any special equipment to keep their body in good working order. Therefore, you can say it dates back almost to the time the Hindu religion was created over 55,000 years ago. This inspiration was given not only to those in India, but as we mentioned before, there was a form of Yoga that the Lemurians practiced during their days. Creator knew your bodies needed an exercise that would stretch the muscles, so several people on Earth were inspired to create movements for the benefit of your bodies. These movements can be done by the individual or in groups. The western societies are being reintroduced to these movements, but many of you have already learned them in past lives, so it comes fairly easy for you. Srikanth writes: Hope you are doing well. On last week's newsletter I was reading about Krishna/Gita and it says that "... Krishna was reciting these 30,000 years ago ...."
• Krishna had 77 lives on Earth and they began 32,000 years ago or so. 1. When did the Mahabharata (Kurukshetra) War take place? 2. Did Krishna recite the Gita during the Mahabharata War? 3. If Krishna recited Gita around 30,000 years ago, is that when Mahabharata took place? 4. If Krishna's lives on Earth began around 32,000 years ago, did Mahabharata take place in his first incarnation on Earth? 5. According to the epic Mahabharata, towards the end the oceans rose sinking Dwaraka (Krishna's kingdom). So, did this really happen around 30,000 years ago? 6. Since Krishna's life during Mahabharata is the only one we read in the epics, why is there no information about his other lives? When did his last life take place? I feel very connected to Mahabharata (so does everyone in Indian sub-continent, probably). Did I have a life during that time? Curious to know what was my association. Gaia, when did the Mahabharata War take place? Much longer ago than recorded history, Tom. Was it over 10,000 years ago, as it seems the Gita was included in an account of it? Yes, much farther out than that. Keep in mind that Lord Krishna was present on the battlefield. The war did not take place later and the accounts of Krishna added in. They were all interconnected. Therefore, use the dates previously given to you of over 30,000 years ago. If so, why do scholars date this to only 200 or 300 BC? They confused a smaller war with the one that is much more ancient. Did Krishna recite the Gita during the Mahabharata War? Quite so. As you were told before, the Gita was quite old even at that time. Did the Mahabharata war take place early during Krishna’s 77 incarnations, or later, or somewhere in the middle? No, it was late in his incarnations as he was quite well known and revered by that time. According to the epic Mahabharata, Krishna’s kingdom sank beneath the ocean. Did that tie in with the natural disaster that occurred when the continent of Atlantis mostly sank? Exactly, Tom. The oceans rose 160 feet and, as was related to you previously, this was around 31,000 years ago, and drowned millions of people around the world, including many in India. Why are there no more records of Krishna’s 77 lives other than the one during the Mahabharata War? Look at how long ago this took place, and how many natural disasters affected the Indian sub-continent. Much of his history sank beneath the ocean leaving only the great war. You could compare it to World War I or World War II where there was much written about it. Imagine if you will a large natural disaster—but multiply that by three, Tom, as don’t forget when the Atlantean islands sank the sea rose another 41 feet, and when the Mu continent sank the ocean rose again over 160 feet. Each time this occurred records were lost. When did Krishna’s last life take place? Use the figure previously given to you of over 30,000 years ago, Tom. That is close enough for your readers and those of the Hindu faith to accept, should they wish. It will give those who come after you something to work on to narrow down the date. We must give them reasons to wish to meditate and obtain their own answers. Did Srikanth have a life during the Mahabharata War? Most certainly Tom, and a number of other lives on the subcontinent as well. They would number over 30. Deborah writes: As always, thanks for your newsletter. As humans advance the technology that surrounds us, will we become more disconnected from the energies and knowledge of the planet? We see so many young people today who would be lost without their phones and computer. I’ve heard of schools that want to do away with cursive writing. I am most concerned with the loss of traditional/tribal/herbal knowledge. Will we, as humans, forget how to feel the energies of the planet, and lose all the knowledge that historically kept humans alive? Theo, will future generations be more disconnected to earth energies because of computers? No, they will learn how to balance their lives for their mental, but also for their physical lives as well. Meditation will be much more widespread and with it will come more of a tuning to the earth and its energies. Needless to say, you have not learned that balance yet, but with all innovations it takes time to balance their use in your lives. VIDEO OF SOUL LEAVING BODY? Linda in Ojai writes: Hi Tom: Can you please ask Theo if this is real? (30 sec. video) Thank you! Gaia, did a security camera in a hospital actually capture a soul leaving its body, or was that CGI? In this case, Tom, the camera did capture the soul departing. It took a second, if you notice, for the soul to realize it was detached, but the transition angel was nearby and quickly assisted in the transition. He claims to have an entity with him at all times that he calls “Spirit,” who allows him to accurately diagnose any person of their illness, tell them what is wrong and how to fix it. This began when he was four years old and has been continuous. Is his information accurate? Gaia, what percentage of accuracy does Anthony Williams, the Medical Medium, have in diagnosing illnesses? As we have said many times, no one that receives this information is 100% correct. Mr. Williams is a serious individual whose soul interest is the medical field. In this life he is attempting to diagnose by reading a person’s auric field along with receiving messages telepathically from their higher selves. His accuracy is at a fairly reasonable level. Still, anyone that goes to him for his services must understand that they should consult their higher selves too. Does his diagnosis “feel” correct? If not, obtain a second opinion.